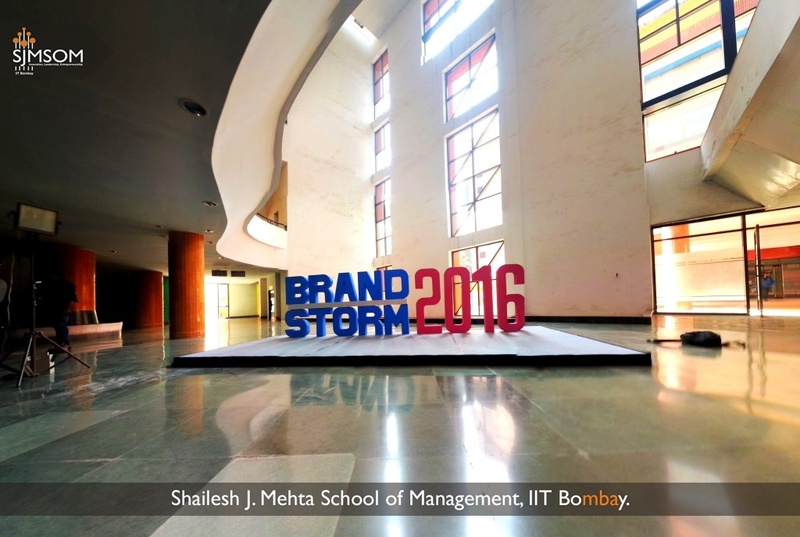 SJMSOM,IIT Bombay was delighted to host the West Zone Round for L’Oréal Brandstorm for the third year in the running. Brandstorm is L'Oréal's unique business competition for students that provides a platform to unleash their creativity and apply ground-breaking ideas to one of L'Oréal's international brands and distribution channels every year. Since 1992, Brandstorm has given to more than 70,000 students worldwide: the possibility to work on real life challenges and be coached by top L'Oréal executives. The 2016 edition of the competition featured La Roche Posay. Created in 1975, today La Roche-Posay is recommended by 25,000 dermatologists worldwide. Thanks to the product’s strong values of efficacy and tolerance, transparency and honesty, caring and empathy, it has also become the consumer’s brand of trust. All of La Roche-Posay’s products offer minimalist and effective formulas, containing its very own unique French thermal water as the miracle not-so-secret ingredient. The challenge for this year’s competition was to help the brand on how to attract and recruit new young consumers to the brand (15 to 25 years old). Also, what digital communication or services or strategy can you come up with to stay close to the brand commitments whilst innovating and addressing the next LRP generation of consumers. Ms. Divya Gera (Corporate HR-Talent Acquisition, L’Oréal India) began by commenting on the lively audience that turned up for this event. She described the journey and evolution of Brandstorm over the years which is currently spanning over 46 countries. The competition is now in its 11th year in India and has consistently produced finalists competing in the global finale and the battle has only become much more intense with each passing year. That was followed by a short AV clip being played about Brandstorm 2016, its problem statement and a trip down memory lane with Brandstorm 2015. Ms. Divya Jain welcomed all and conducted a quick poll about how good people felt about their skin and highlighted the problems that every individual faces when it comes to skincare and the promise La Roche Posay holds for everyone. La Roche Posay has a heritage spanning over a 100 years and is recommended by over 25,000 doctors worldwide. She highlighted some telling statistics concerning skincare and dermocosmetics and also, the efficacy of La Roche Posay when it comes to complete dermatological care. She went on to comment on current trends of marketing in the digital era and concluded by wishing all the competitors the very best. Ms. Ojaswini Mishra graciously welcomed everyone and thanked the venue partner, SJMSOM for holding the event for the third consecutive year and wished all participants well. All participants were given a minute for setting up their props and presentations. The evaluation criteria for all teams would consist of the analysis and the strategy they employed as well as their style of presentation and the team spirit they displayed. The team made a very engaging case about how skin deserves preventive care in today’s age and presented insightful statistics about the dermocosmetics market size across geographies including Asia and Western Europe. Depicted La Roche-Posay as a knight in shining armor for dealing with various skin afflictions through the viewpoint of 4 different individuals across the globe. extremely concerned about her looks. The team proposed the “My Skin My Feel initiative” and a host of innovations ranging from gamification to digital mirror and a novel Free Hugs campaign. Their “Reapply reminder app” had a host of ingenious ideas. The team had an interesting approach to their presentation depicting a boy involved in a relationship, who goes on a 12-day trip to Paris. The solution to the case was displayed in a 12 step format including various aspects of the case like identifying the problem, an in-depth analysis of the health and beauty market, SWOT analysis of the competitors, business opportunities available among various target consumer groups and the various platforms they intended to mobilize for marketing La Roche Posay. Analyzed the geographic details about global trends in skincare and beauty market following a discussion about changing life styles, competitive and target group analysis. A survey on dermatologists, actors, models and a sample group from target audience helped them find out that the ingredients used in the product are the major concern in this age. Proposed Touch points like an app with multiple features, derma network, live interactions, category specific communities, a campaign with micro detailing via multiple digital channels, remarketing and monitoring techniques that can be presented via Google Analytics. Started off with the latest trends and innovations in digital and beauty market. Recommended a product “Sensoband”, a digital wearable gadget to monitor lifestyle and habits. Launching an app named “PERMA”, which supports the Sensoband, and has different features including Skin scan, recommendations, etc. Viral Campaign: based on the theme “Are you Sensitive?” which can make La Roche Posay closer to its target audience. Started with a primary and secondary research of the dermocosmetics market and followed it with competitor and SWOT analysis. Plan of launching a campaign named “Why Cover Up when you can be Cover Girl?” on the World Skin Health Day. Launch a Skin Deep beauty App along with marketing by means of La Roche Posay bag and In-Flight brochure. Theme of the Campaign: #BeSensitiveBeStrong. They suggested establishing a strong emotional connect addressing issues like bullying. Also, the team defined competitor positioning with their research based on inputs from dermatologists and professors. In order to increase awareness of Sensitive VSkin, they planned to host customer engagement campaigns across premium malls, using Virtual Reality technology for an experiential video. Started their presentation with introduction of customers and stressed on the significance of 15 to 25 age segment and the opportunity presented by this segment in the digital marketing sector. The team then discussed Health and Beauty, Skincare and Dermocosmetics as market segments with special focus on customer interaction in the segment. Their strategy was based on the theme of MySkinFamily, supported by sub-themes such as MySkinChampions and MySkinScheduler, which were proposed to be implemented with campaigns such as #Welcomebacktocommunity and MySkinStories. Summarized their theme with a futuristic idea in Virtual Reality and its potential for La Roche Posay. The team started with Defined Market Segmentation for the skin products and mapped them on the value matrix. They also mentioned the constraints of the skin care products market like customer understanding, geographical breakdown etc., stating how La Roche Posay can overcome them. They have conducted strong primary research by engaging doctors and customers with their secondary research about customer behavior. They suggested mobile gaming, tie-ups with doctors, kiosks at airports to increase online and off line promotion of La Roche Posay. The team started their presentation with an overview of La Roche Posay and an analysis of the dermocosmetics market along with target consumer behaviour and competitor analysis. They used the concept of Internet-of-Things paradigm through the use of a Digital Mirror. Gamification as a means of marketing through the “Au-Naturel” app and use of Native Advertising to advertise La Roche-Posay as a product . Presented data on Skin Problem Influencers and their effects followed by an analysis of Consumer preferences and patterns of usage. Analyzed the various complements and substitutes to La Roche Posay Their theme was based on the introduction of a Skinography App with features such as DermoConnect, Product QR+ and MySkin Journal and creation of content on Social Media along with usage of minimalist posters and infographics to portray the brand’s importance. After the presentations were over, the judges applauded the efforts put by each team and did admit that the teams did put them in a spot while choosing the winner. Eventually, they decided to select 3 teams to qualify for the National Finals. Triple S (SCMHRD), Goal Crushers (SIBM, Pune) and Makhan Pao (NMIMS) were declared as national finalists for Brandstorm 2016. Free Download Pangu iOS 10 Jailbreak. this blog post gives us excitement. I can't believe you haven't read my writings in the matter of Fitness. Make sure you take it easy next time. I check it frequently. Fitness should be made entirely free. OK, you could pull your weight. This certainly saves time. 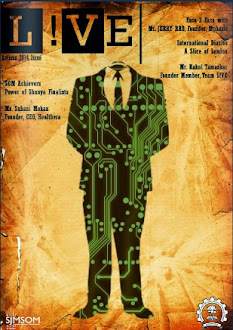 I have found this a slew of gurus are a bit afraid of Testoultra because you won't discover teachers for the job. It is wicked how professional people can't treat fairly a tangled task like this. Nonetheless, this is not very simple to discover a Testoultra Male Enhancement without a bit of luck. That's very nice article which is mentioned in the above section. There are many reasons to take a brain supplement: to improve mood, memory, and concentration as well as to protect the brain against aging or to prevent or halt cognitive decline. HP color Ink used for all types of hp printers.